Place: 6th Floor Lounge, Environment Bldg. Professor Jørgen Primdahl is the visiting professor from The University of Copenhagen, Denmark. 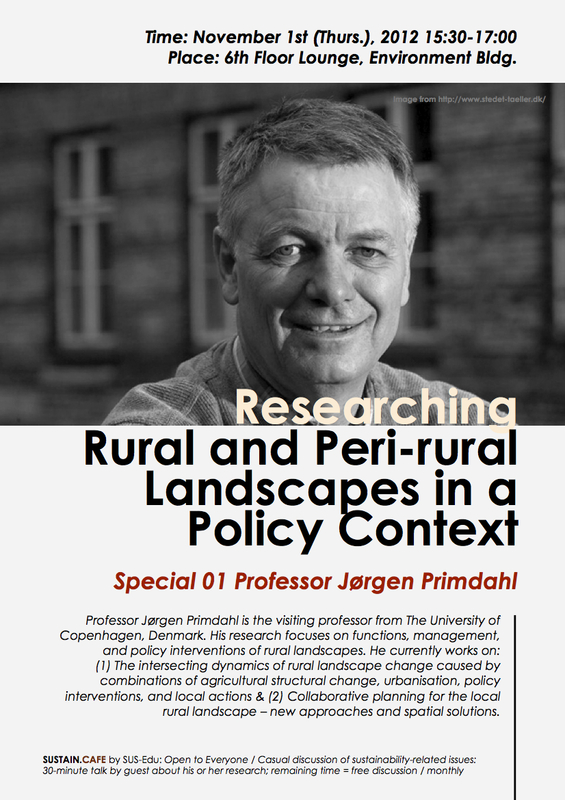 His research focuses on functions, management, and policy interventions of rural landscapes. He currently works on: (1) The intersecting dynamics of rural landscape change caused by combinations of agricultural structural change, urbanisation, policy interventions, and local actions & (2) Collaborative planning for the local rural landscape – new approaches and spatial solutions.